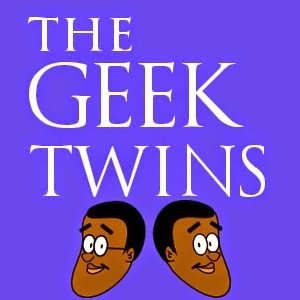 They said it couldn't be done...and by "they," I mean "we"...but here's episode two of "The Geek Twins Podcast." We couldn't coordinate a group podcast, so Nigel is recording this week's episode alone. But we also have our first guest, Dr. Ayanna Howard, a roboticist who discusses whether robot police like in CHAPPiE would be good or bad. Also listen to thoughts on the death of Leonard Nimoy, a review of the Robocop reboot, and a game of "Would You Rather." What do you think of robot police? How did you feel about Nimoy's death? How would you answer "Would You Rather?" Let us know in the comments!